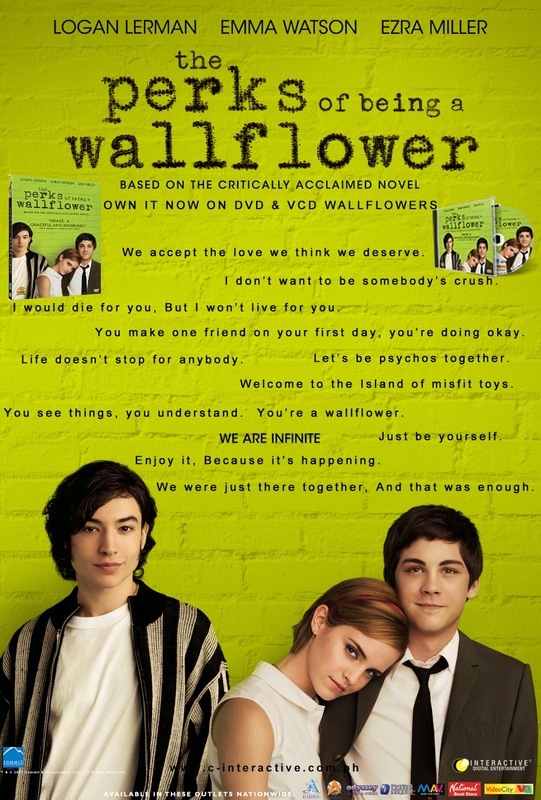 Have you watched "The Perks of Being a Wallflower" before? Have you read the book? Are you a fan of both? If so, then I've got something incredibly jizzmatastic for you. All of the parts that I missed from the book that weren't in the movie can all be found in the Deleted Scenes of the DVD's special features, including *get ready for this* the entire abortion scenes, the suicide poem scene, and a backstory on Susan and Michael. Plus, you'll even get to see an alternate ending! Make sure you watch the deleted scenes with the director's commentary first, though, so you understand what they're about, where they were meant to be in the movie and why they were cut. I seriously pray that they decide to make an Extended DVD version. I would pay very, very good money for that. So, if the movie version made you feel infinite, then the DVD version will make you feel mega-infinite. And this is where the good news comes in! C-Interactive has sent me an extra copy to give away to one of my readers! Woohoo! Of course, if you can't wait that long, you can just buy your own copy ASAP instead! I don't know about you, but every time I see that commercial, I feel fat. And I don't mean that in a bad way. I just mean that it inspires me to look as good and feel as good as Anne does in that commercial. In fact, it was what initially motivated me to follow the healthy and longing-to-be-fit lifestyle that I lead today! 1. She has cheat weekends instead of cheat days. That's right. Two whole days of eating whatever you want. Talk about heaven! Anne reminds us not to overdo it, though! "Although you can eat anything and everything that you want on your cheat weekends, make sure to only do so in moderation," she says. 2. She doesn't deprive herself of her favorite food. This may be hard to believe, but Anne swears that she still eats chocolate and rice on a regular basis (i.e. on her cheat weekends). "I just make sure that I opt for healthier options, like dark chocolate and brown rice, when I do so." 3. She eats a lot of Century Tuna. When asked how Anne incorporates Century Tuna into her diet, she explains that she puts it in whole wheat bread for breakfast (with mayonnaise on cheat weekends!) and in salads for the rest of the day. Yum! Fireworks always remind me of New Year's Eve or the Fourth of July. So, when I knew I was going to watch a pyromusical at SM Mall of Asia with my boys earlier this month, I decided to dress all patriotic-like and don as many stars and stripes as possible without being considered as overkill. Flats were a must because I knew we'd be shifting from standing to sitting to standing to sitting just to get a good view of the fireworks. My trusty S&H boots were definitely a good choice in the end! I also knew that we'd be outside, so I had to dress comfortably enough to survive the heat. It was my first time to wear this impulse-bought vest from Forever 21 and this necklace from Crave More. Fun fact: this piece from Crave More is actually the very first one that I eyed and - pardon the pun - craved for. Amazing piece designed by Aidx Paredes! :) Love it to bits! Still one of my favorite Crave More pieces to date! Since my outfit reflected the Fourth of July more than New Year's Eve, I thought that I should at least end this post with something New Year's Eve-y: a resolution. A resolution to stop trusting people so freely and to start following my heart more than my head. A resolution to believe that people can and will change for the better and to never give up hope. Besides, who said resolutions should only be made on New Year's Eve anyway? :) What's yours? 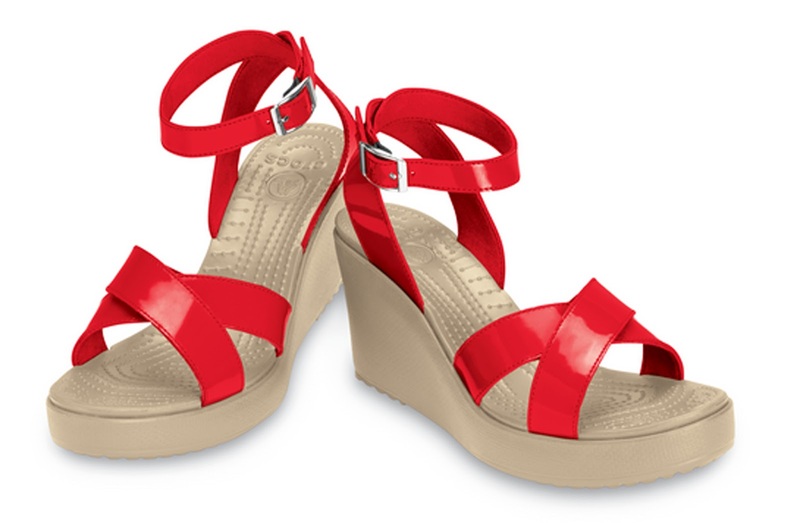 Well, Crocs has just launched more shoe lines that truly reflect the lively, vibrant and happy nature of women, in general. 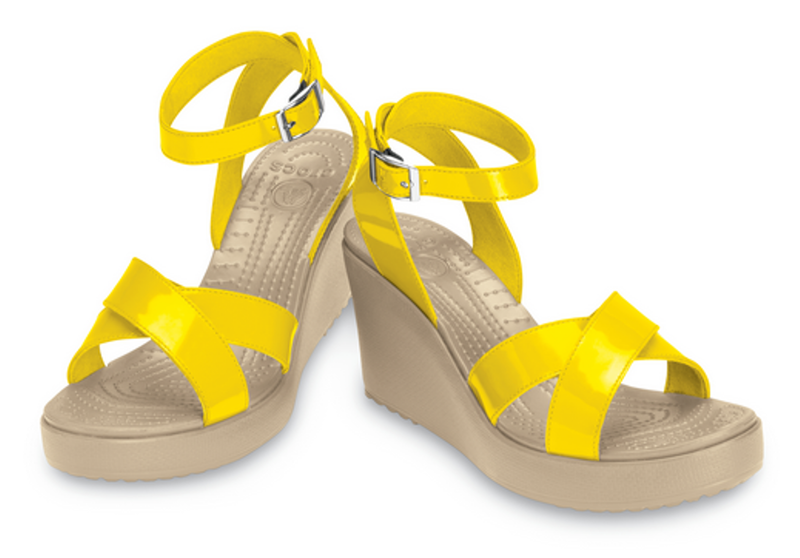 After all, women are part of Crocs' biggest markets nowadays along with kids, thanks to its profound comfort and new, fun styles. Also available in jade, espresso, red and white. Franco Limjuco, Vice President of Six Degrees Inc., reminisces about how these models were introduced in the summer of 2009 and how women stormed their stores then and there to get their hands on them. They were instant hits. 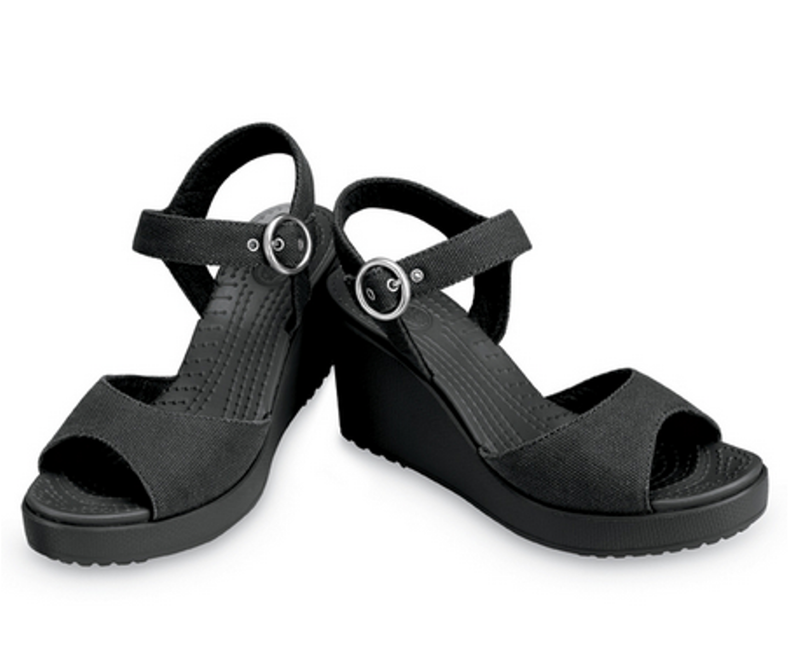 Summer of 2009 was when Crocs started getting a share of women's love by enriching their closets. 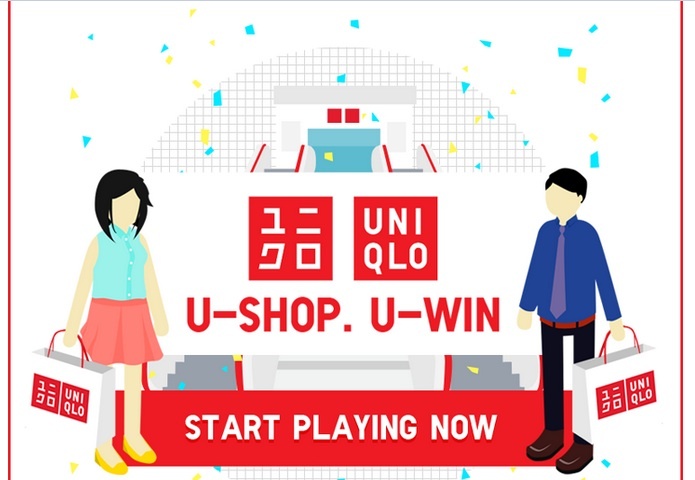 Win Great Prizes with Uniqlo's Latest Facebook App! 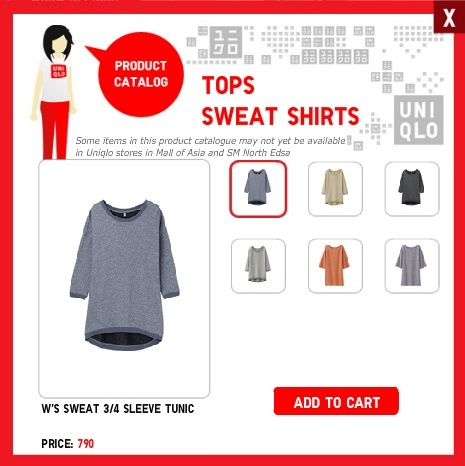 Have you tried out Uniqlo's latest Facebook app U Shop, U Win yet? Aside from being easy peasy, you can also win an iPhone 5, a DSLR camera, a phone tablet, or a summer getaway for 2. And, with every game that you play, you can even get 500-peso gift certificates to use while shopping at Uniqlo! Woot! 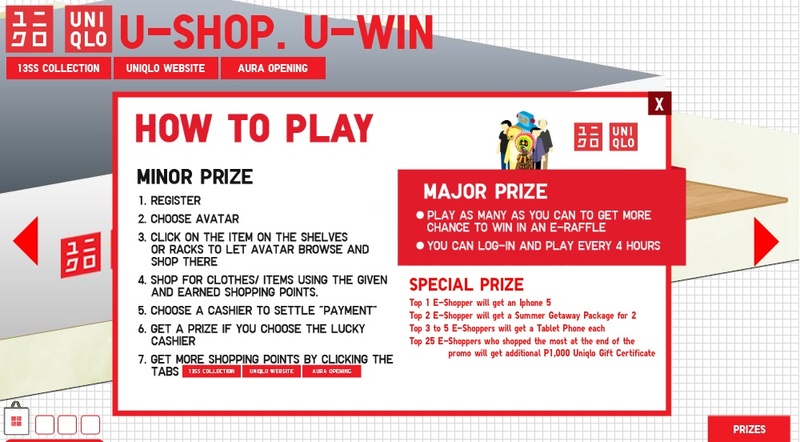 U Shop, U Win is basically a Facebook game application that will let you use your virtual shopping points to purchase items at the virtual Uniqlo store, which - bee tee dub - looks uncannily like its actual store at SM Mall of Asia. Go to the Uniqlo Philippines Facebook page and click on the U-Shop. U-Win. tab. This screen basically tells you everything that you need to know in order to play the game. Then you will be brought to the virtual SM Mall of Asia Uniqlo store where the game will officially begin. Once inside, you can go through racks of different men's and women's clothing and accessories and shop with your available virtual shopping points. If you are running low on shopping points, no worries - you can just click on the tabs on the top part of the gaming screen (13SS Collection, Uniqlo Website, and Aura Opening) to get more and find out more about Uniqlo's 2013 Spring/Summer Collection, the brand itself and its SM Aura opening at Bonifacio Global City. When choosing the items that you want to buy in the virtual store, you will be shown the price and the different colors underneath. Add whatever you want to your cart and when your done with your virtual shopping, head on over to the cashier section. 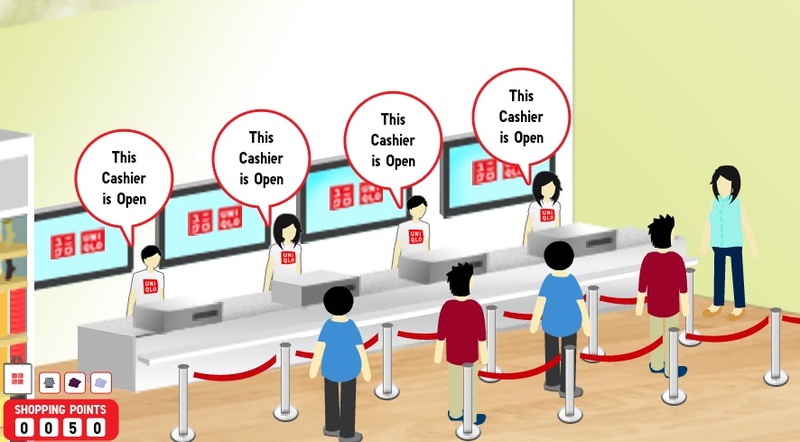 As you can see, it looks exactly like the Uniqlo SM Mall of Asia cashiers, as well! This is where the game of luck comes in. When about to pay for your items, you will have to choose one of these lucky cashiers to claim an instant prize after each game that you play. 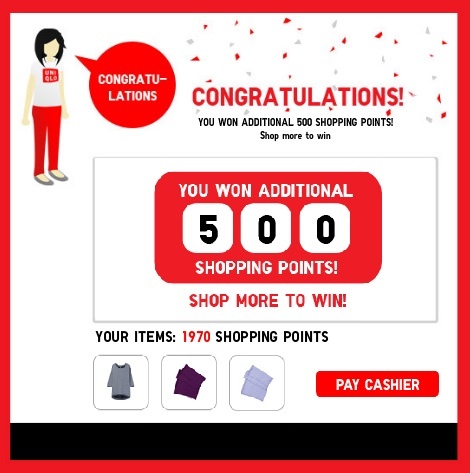 Most of the time, you will get 500 additional shopping points for your next game, but if you're lucky, you'll get a minor prize. 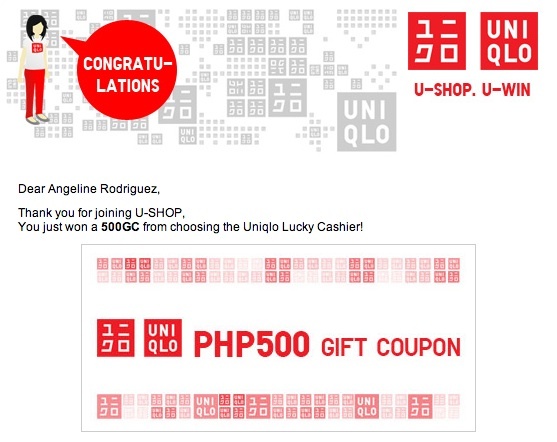 I've actually already won a Uniqlo gift certificate worth 500 pesos myself! Double woot! It will also tell you when and where you can redeem and use your gift coupon. At the end of the promo period, those who played the game, logged in and played more will have more chances of winning one of the major prizes. Aside from this Facebook promo, you should also take note that Uniqlo will be opening a new two-storey store at Bonifacio Global City's SM Aura soon - their first store opening in the Philippines this year. For more information on Uniqlo, please visit their official website. "If someone wants to lead a double life, they will find a way to do it. And they can promise you things until your nerves unfold and you can finally put up your feet. But it can all be a lie. There are no guarantees, even when people mean what they say at the time. People change their minds. People die. And the hurt is as real as a baseball bat." These sneaker wedges have easily become my favorite pair of shoes because they go with practically anything and are incredibly comfortable! 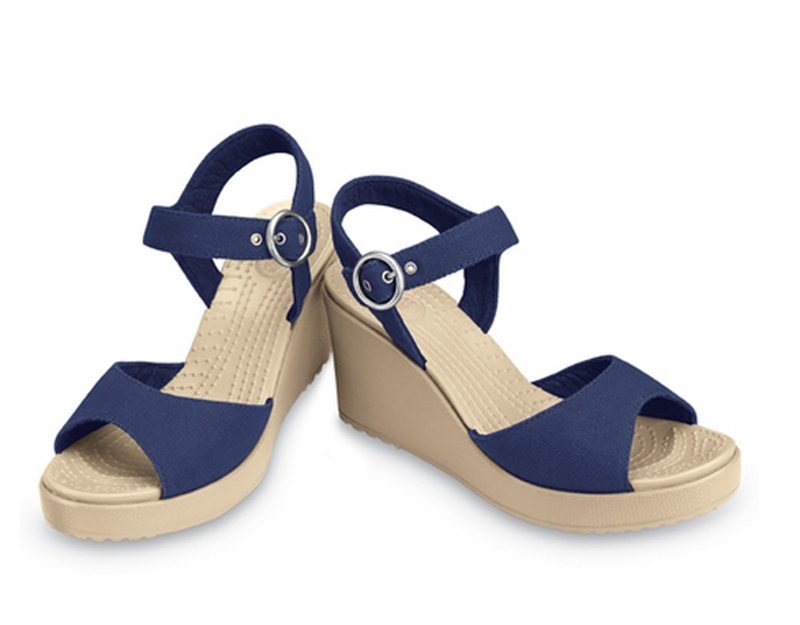 I can actually wear them all day without begging to change into flats. Love them! What I've realized during these recent trying times is that you will never actually know whether a person is lying to you or not, whether they will keep their promises or not, whether they mean what they say at any given time or whether they will still feel the same way towards you days, weeks, months or years from now. All we can really do is hope. The latest delicious sundaes on Swensen's menu focus on bringing together chocolate and this season's delicious strawberries, both in yummy versions that are sure to leave you craving for more. The first one is called the Strawberry Chocolate Lava, which is made with scrumptious chocolate lava cake and is topped with cold fudge, fresh strawberries and strawberry syrup. It also comes with a scoop of strawberry ice cream, some almond slices, and whipped cream. Yum! The second one is the one that I was incredibly excited about: the Strawberry Crepe, which is a mouth-watering combination of crepe with cold fudge, whipped cream, fresh strawberries, some almond slices, and icing sugar. 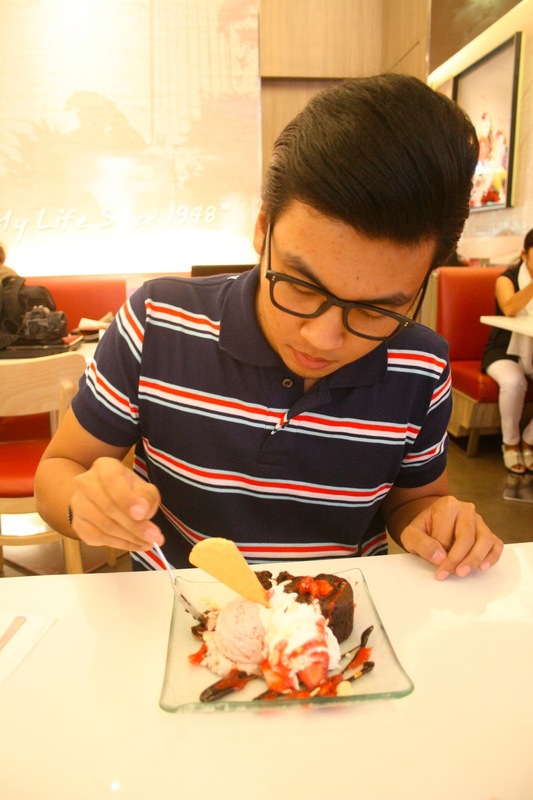 It also comes with a scoop of vanilla ice cream and a scoop of strawberry ice cream. Heaven! Since I am a sucker for crepe and fresh strawberries, I knew that I had to taste this new concoction - and I definitely do not regret it! The crepe is incredibly soft and goes very well with the fruits and the ice cream scoops therein. 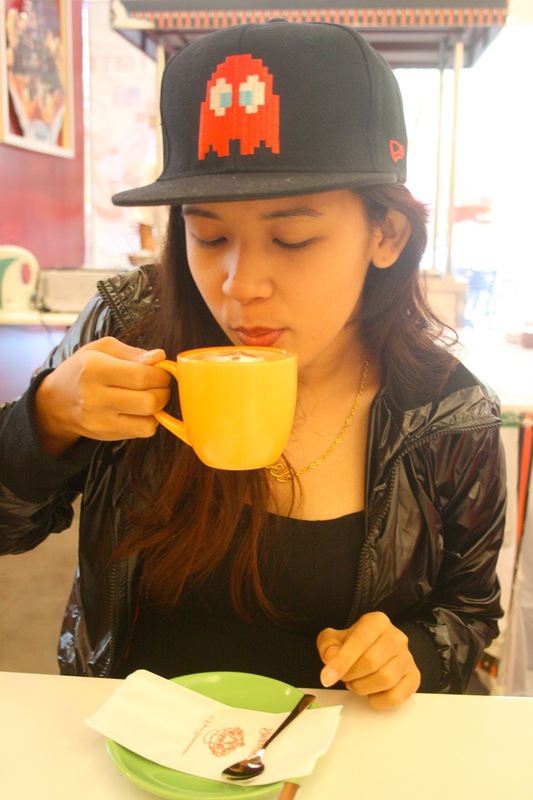 Since I am also a sucker for coffee, I simply could not not have a cappuccino while at Swensen's. This is another reason why I would highly recommend a Swensen's visit to anyone dying of the heat right now. Swensen's now has branches in both SM Mall of Asia and Eastwood Mall, both of which are more than ready to spread the love with their new lineup of Strawberry in Love sundaes. 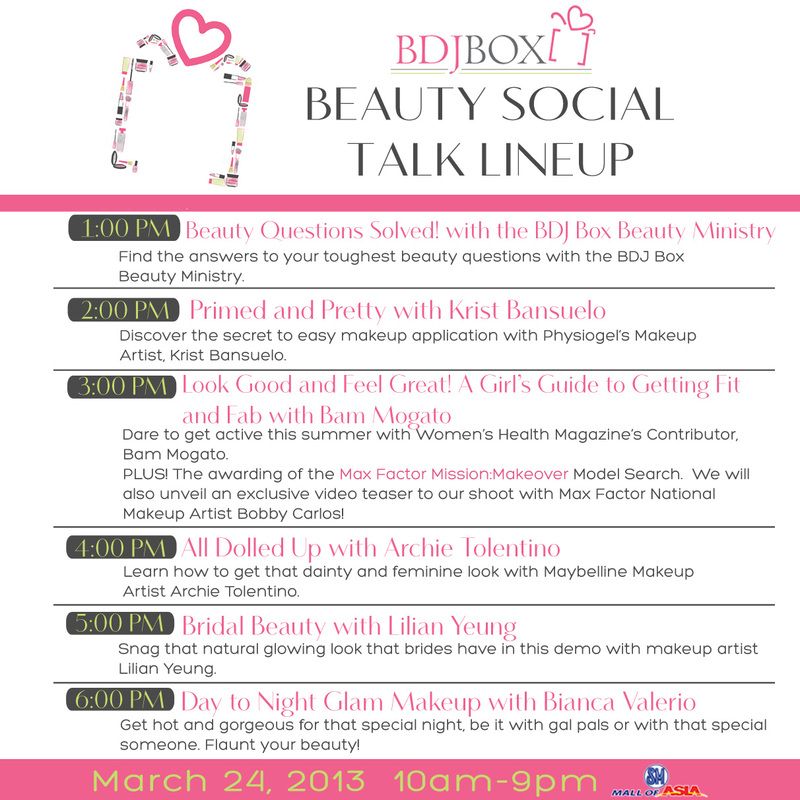 I don't know about you, but I can't wait for the first ever BDJ Box Beauty Social at the SM Mall of Asia Atrium this Sunday, March 24! BDJ Box basically refers to a beauty product discovery subscription service existing generally for women. Brought to us by the makers of the Belle de Jour Power Planner - which you have undoubtedly heard of if you live in Manila and not under a rock - BDJ Box aims to help every Filipina unbox her own beauty. For just Php480 a month, subscribers will get a mass-customized box with around 6 beauty products delivered straight to their doorstep. As such, I am more than psyched to see what the activity booths at the Beauty Social will have to offer! The best part is that the BDJ Box Beauty Social is open to everyone! However, only pre-registered girls will get to take part in the talks, get a loot bag, and get their pictures taken by a professional photographer. Slots are given on a first come, first served basis, as well. Let me know if I'll see you on Sunday! I originally wrote an entire blog post about my love for Ben Affleck - a blog post that would rival even Holden McNeil's monologue on how much he loves Alyssa in "Chasing Amy". But hey, such is life. 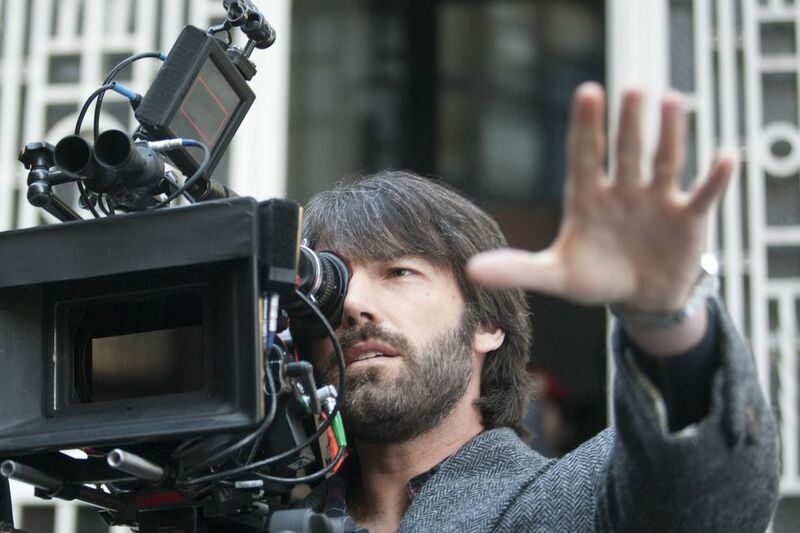 This post is meant to be about "Argo" and about "Argo" it shall be. If you've read my DVD review on "The Vow", then you should know how much I love and appreciate movies based on true stories. 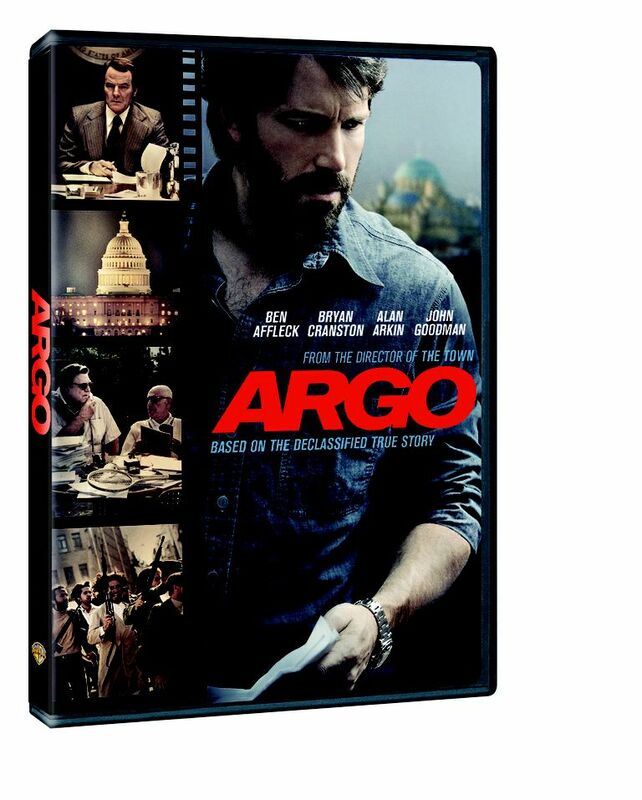 Well, that is exactly what "Argo" was. 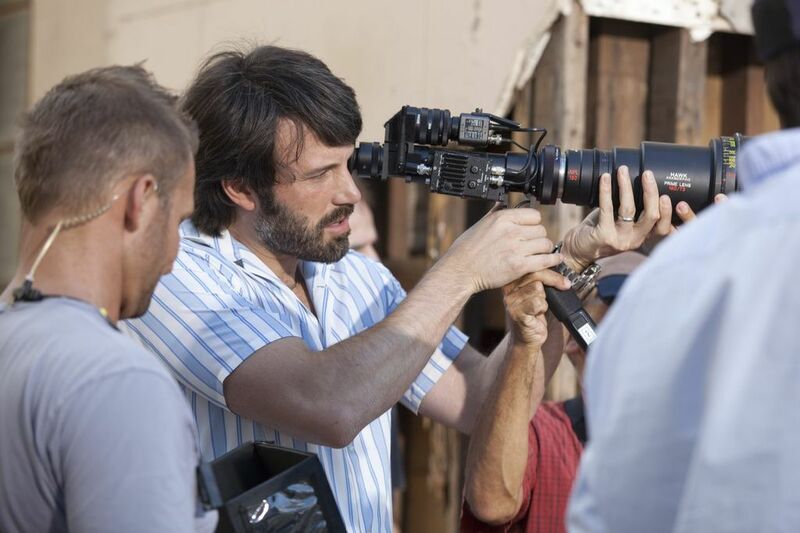 If done in any other way, "Argo" could have easily come off as try-hard or fake, but with Ben Affleck's magical eye and talent (sorry, sorry, I'm a huge fan - have you seen "The Town"? 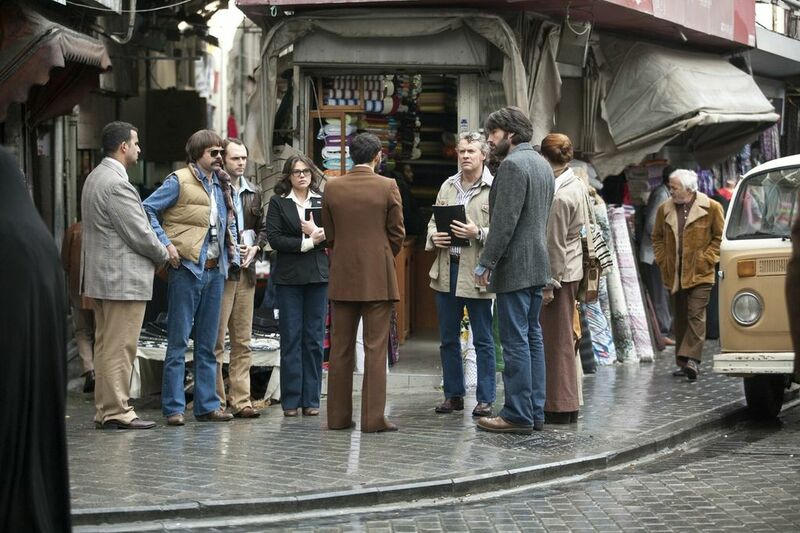 ), "Argo" became a thrilling and exciting movie well worth the Best Movie wins in the Golden Globes and the Oscars (though I still hate The Academy for not nominating Ben as Best Director). 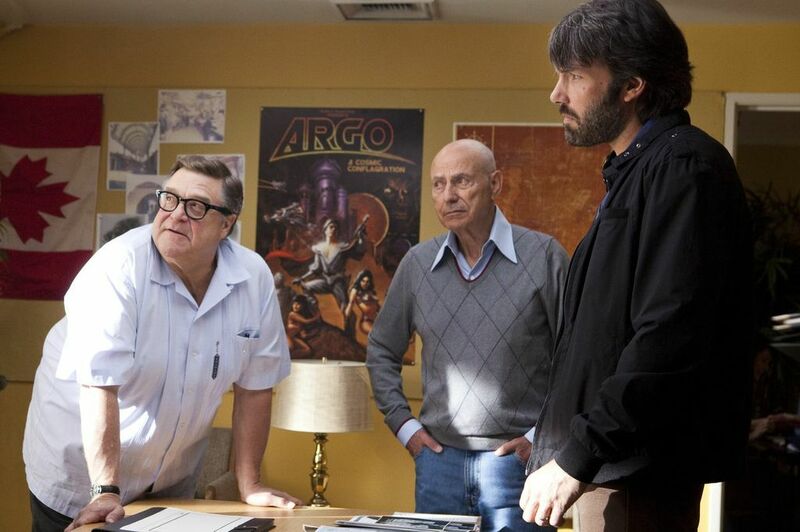 Ben Affleck also seems to have a talent for discovering and finding great talent in his cast (again, see "The Town"!). The cast was perfect for this and I love, love, loved their outfits, the setting and the cars! Lol. Oh, Ben. I love you. Please don't stop being so brilliant. "Your dog is leaving little bombs in my yard again!!!" Just coz that is probably my favoritest line in "Despicable Me". And coz I can't wait for "Despicable Me 2". And coz I'm addicted to the Despicable Me 2 banana song. And coz our dog decided to photobomb this photoshoot. Check out my complete outfit post here. Check out Gerd's complete outfit post here. And hey, check out how strong I am now! Don't blame me. GERD IS HEAVY, okay. Just ask Miko and David. Lol. Going Crazy at The Big Sale at SM Southmall!